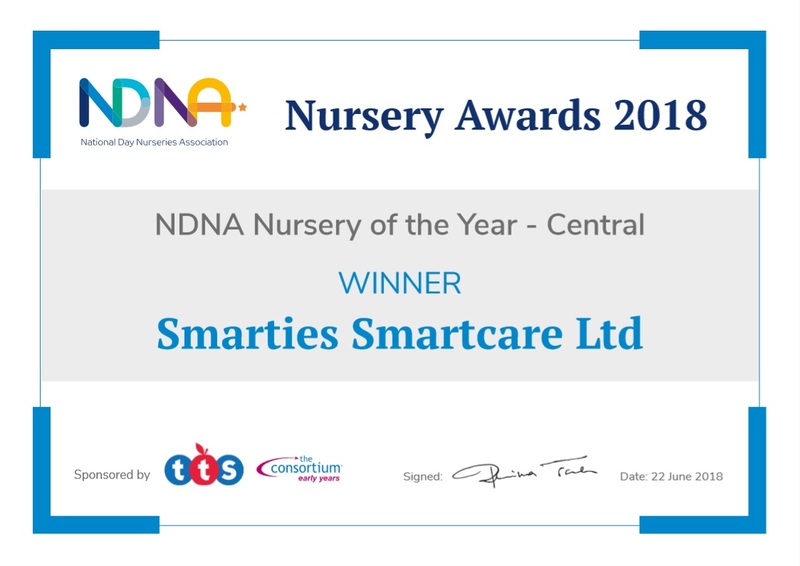 Smarties nursery was founded in 1989 with the ambition to provide the highest standards of care and education. 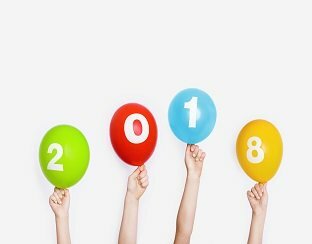 Smarties nursery has been awarded ‘Outstanding’ in all areas in their last THREE Ofsted inspections (since 2005) and has achieved its aim to be regarded as one of the top nurseries in Cheshire. 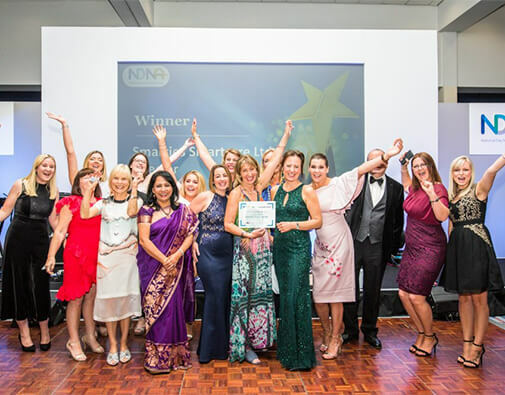 In June 2018 Smarties nursery won the National Day Nursery Association NURSERY OF THE YEAR FOR THE WHOLE OF THE UK 2018, being described as passionate, compassionate with an inspirational environment. 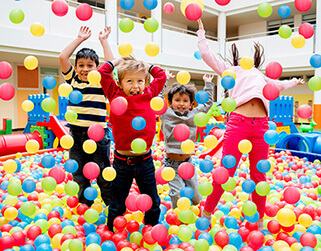 Smartcare holiday club was set up in 1997 as a subsidiary of Smarties and has continued with the high principles developed throughout the organisation. 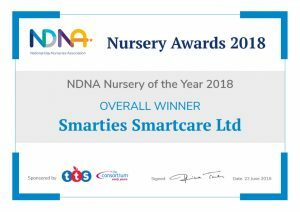 Smarties and Smartcare Limited pride themselves as being one of the highest quality childcare practices in Britain. 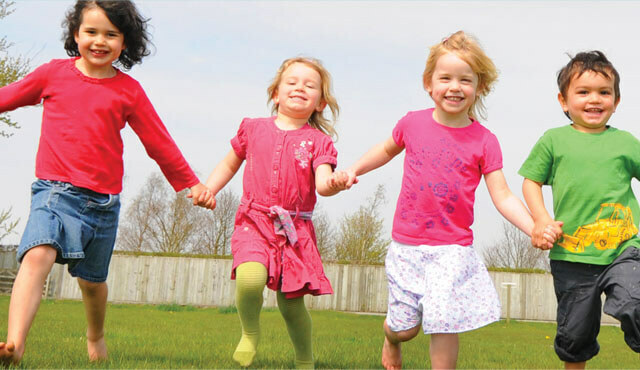 We, as a nursery, are totally committed to offering an inclusive setting where all children are encouraged and supported to develop to their full potential. 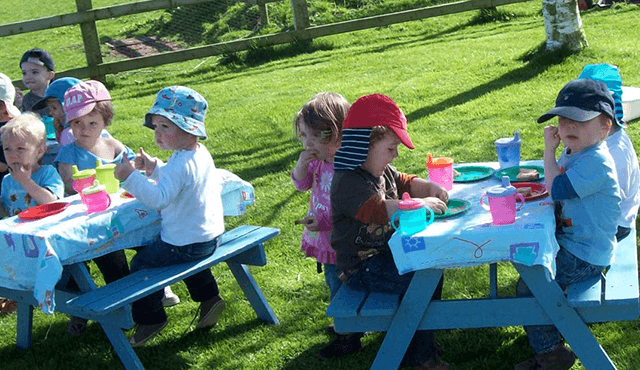 This site will give you an introduction to our nursery and holiday club scheme focusing on our ethos activities and the superb facilities we have to offer. 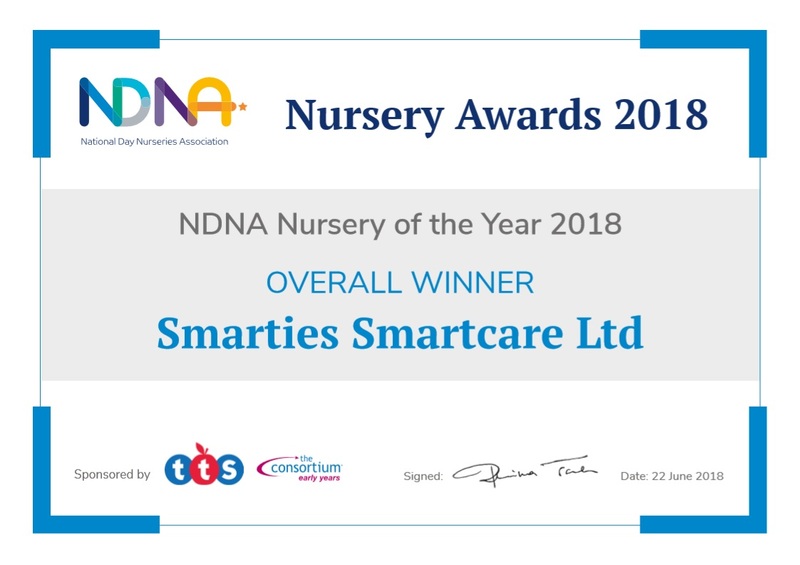 Once you have visited the area of the site that interests you most please feel free to contact us to arrange an appointment to look round the nursery and discover for yourself why Smarties and Smartcare warrant the reputation they have. Smarties is such an amazingly well run sanctuary paradise for children and I'd just like to say what a great job you are doing. Thanks for giving my son the best foundations in his education & social life, he's a bright, friendly & kind boy and I know after your help he will now ease into his school life seamlessly. Firstly I would like to say a huge thank you to the whole team in the baby room. We visited on Monday for Ava’s first settling in session and the staff were a credit to both Smarties and the children in their care. 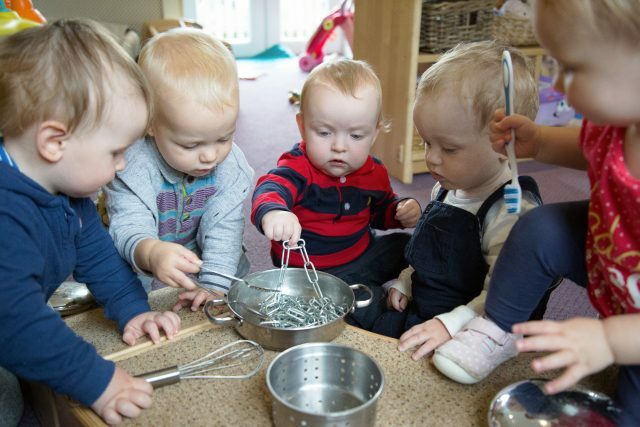 They made us feel both welcome and at ease and I was impressed with their learning environment which was engaging and full of sensory exploratory play. I feel so reassured from these visits and know that Smarties is the perfect start for Ava’s learning journey. I would like to extend my thanks to how well you have managed and catered for Finley's allergies and specific dietary requirements. From when he joined the baby room and was dairy free to the more serious peanut/nut allergy he currently has. The lengths you have gone to to make the nursery nut free and the changes you have put in place have been much appreciated. You have an amazing balance of generously loving the children, creating the environment to learn (lots of amazing things that never cease to surprise me) and giving them space and freedom to be who they are, allowing them be creative for themselves - and so much amazing outdoor time!! !